Peace has been the driving force in the waters of the literary explorations of Stephen Gill. For a Peaceful Future is a collection of long and brief quotes from his prefaces, interviews, articles and other works, where he explicates the multiple aspects of peace. Peace is the compass that has guided the explorations of Stephen Gill in the waters of his literary expressions. 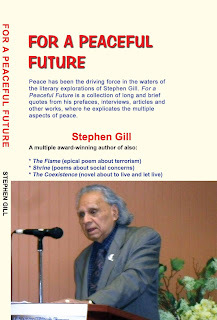 For a Peaceful Future is a collection of quotes from Stephen Gill’s writings which explore his gospel about peace. He says repeatedly that where there is no peace there is no health and where there is no health there is no prosperity and meaning in living. He believes that the Nirvana of peace is the child of non-violent actions. Stephen Gill makes impassioned pleas in his interviews, prefaces, poems, articles, fiction and other works to refrain from armed conflicts because they pose serious threats to the civilization of today. He is an ardent supporter of the United Nations, and is convinced that peace is multidimensional and therefore it needs multidimensional approaches to religion, politics, education, family, minorities, the press, the United Nations, war, terrorism, and other areas of life. Stephen Gill, an expressive voice of Canada, India and Pakistan, believes in peaceful means to achieve peace. Global peace and social concerns are the main areas of his interest. 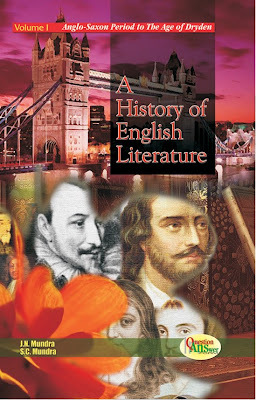 He has authored more than twenty books, including novels, literary criticism, and collections of poems. His poetry and prose have appeared in more than five hundred publications, mostly in Canada, the United States of America and India. Once in a while, he writes poetry in Urdu, Hindi and Panjabi languages. He has written and published book reviews and research papers. Some of his Urdu/Hindi poems have been sung with music by prominent singers of Pakistan and India. Stephen Gill has received recognitions, and has been the subject of numerous literary essays, books and doctoral dissertations. He is honorary editor/ advisor to several publications, and has appeared in prestigious national and international reference books. Indira Kala Sangit University (IKSU) officially established the Centre for Stephen Gill Studies on April 21, 2012 in an impressive gathering of intellectuals, chaired by the Vice Chancellor, Professor Dr. Mandvi Singh. She called it a historical move of the university to establish this centre for scholars to pursue their higher studies on Stephen Gill. Stephen Gill was born in Sialkot, Pakistan, where he passed his early childhood and grew in India. After teaching in Ethiopia for three years, he migrated to England before settling in Canada.